Venezuela’s major opposition is not interested in taking part in free general elections, but instead, seeks ways to create chaos and violently oust President Nicholas Maduro from office, the head of the commission for the newly introduced Constituent Assembly told RT. “They are not interested in taking part in the elections when the situation is politically, economically and socially stable. Now they are not planning to run for elections at all, but initially they wanted the election to take place amid economic and social chaos in the country, thus they could have won by creating a mess in our society,” Elías José Jaua Milano, who was appointed president of the commission for the National Constituent Assembly, said in an interview with RT Spanish. “This is their goal. They are not striving for elections taking place in normal conditions so that our people could freely express their political will,” Jaua Milano noted. Protests have gripped the country since March 29, after the Supreme Court ruled to take over the duties of the National Assembly, a ruling many saw as undemocratic. 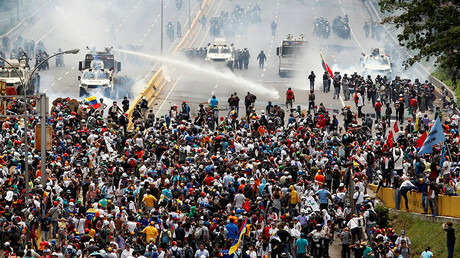 Although the Supreme Court repealed the decree three days later, it was not enough to assuage anti-government protesters. The opposition has demanded the government hold fresh general elections as soon as possible, while the government believes that holding a constitutional convention instead, is the only proper way to national reconciliation. “We believe that President Nicholas Maduro must complete his legal [presidential] which expires in January 2019, and the presidential elections should be held in 2018,” the head of Constituent Assembly said. Maduro also urged for a national dialogue. He has asked the Constituent Assembly to cooperate with all representatives of the opposition – many of whom themselves disagree with the actions and methods chosen by the senior opposition members representing the elite, according to Jaua Milano. The idea of all-inclusive talks have been supported by a number of Latin American nations as well as the Vatican. “Nicholas Maduro decided to seek advice from the sovereign people’s government so that the legally elected members of the assembly could establish grounds that would allow for an elementary understanding and mutual respect between the parties to the conflict,” Jaua Milano explained to RT. As public disorder in Venezuela enters its second month, some members of the Venezuelan opposition has refused to participate in the National Constituent Assembly convened in order to hear the voice of the people, and if necessary, amend the constitution. Critics of Maduro say that his intention to negotiate with the opposition is in fact an attempt to delay regional and municipal elections slated for this year. Maduro’s government, in turn, accuses the opposition of refusing to engage in talks but instead looking to oust him by any means necessary. “They are rejecting taking part in a dialogue and in the elections because they actually don’t want to resolve this conflict through elections. They are trying to depose President Nicholas Maduro,” Jaua Milano said. 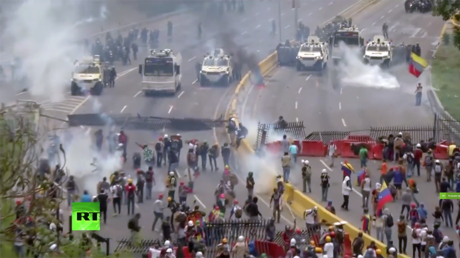 The Venezuelan people, including those opposing the government, are against violence, but opposition figures are deliberately pushing for an escalation of the conflict, Jaua Milano believes. “Venezuela’s top opposition officials are acting on the instruction of most radical parts of the US government… and are carrying out the White House’s request to start a kin-on-kin war in Venezuela,” he said. 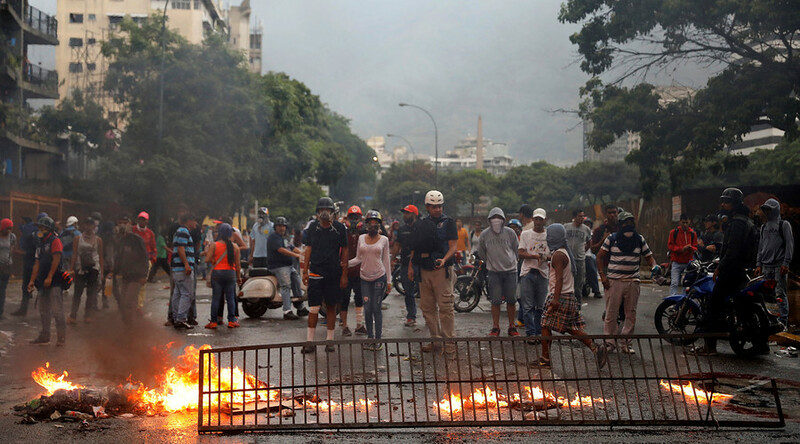 “Those from the United States who are trying to ignite this conflict should have…more carefully analyzed the scale that the civil war in Venezuela could achieve,” Jaua Milano said, warning that such a war could set the entire region on fire. The head of the Constituent Assembly stressed that authorities are not resorting to lethal weapons and are not responsible for the mounting death toll in the ongoing protests. “In Venezuela, representatives of law enforcement agencies are not allowed to shoot at protesters. And although [the protesters] have already resorted to the use of firearms, the commanders of special forces still have orders to use only water cannons and tear gas,” Jaua Milano told RT. The goal of the opposition is to present the government as an oppressor that violates human rights, and to depict a failed state by encouraging chaos that leads to casualties, Jaua Milano said. “This is a war in which dramatic pictures attracts most attention: Nudists, standing in front of police. People throwing themselves into the river as a result of alleged police harassment,” he said.